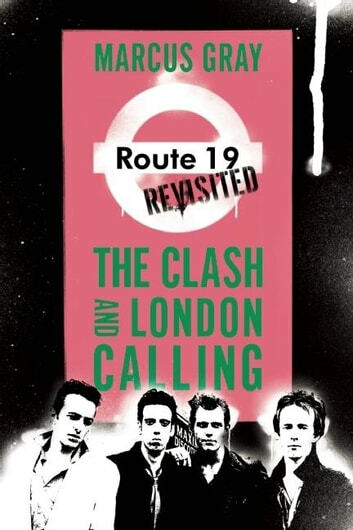 Twenty-eight years after its original release, The Clash’s London Calling was inducted into the Grammy Hall of Fame as a recording of lasting qualitative or historical significance.” It topped polls on both sides of the Atlantic for the best album of the seventies (and eighties) and in publications as wide-ranging as Rolling Stone, VIBE, Pitchfork, and NME, and it regularly hits the top ten on greatest-albums-of-all-time-lists. Even its cover-the instantly recognizable image of Paul Simonon smashing his bass guitar-has attained iconic status, inspiring countless imitations and even being voted the best rock ’n’ roll photograph ever by Q magazine. Now the breakthrough album from the foremost band of the punk era gets the close critical eye it deserves. Marcus Gray examines London Calling from every vantage imaginable, from the recording sessions and the state of the world it was recorded in to the album’s long afterlife, bringing new levels of understanding to one of punk rock’s greatest achievements. Leaving no detail unexplored, he provides a song-by-song breakdown covering when each was written and where, what inspired each song, and what in turn each song inspired, making this book a must-read for Clash fans.